Blogging for me, is about community. Enhancing old ones and making new ones. 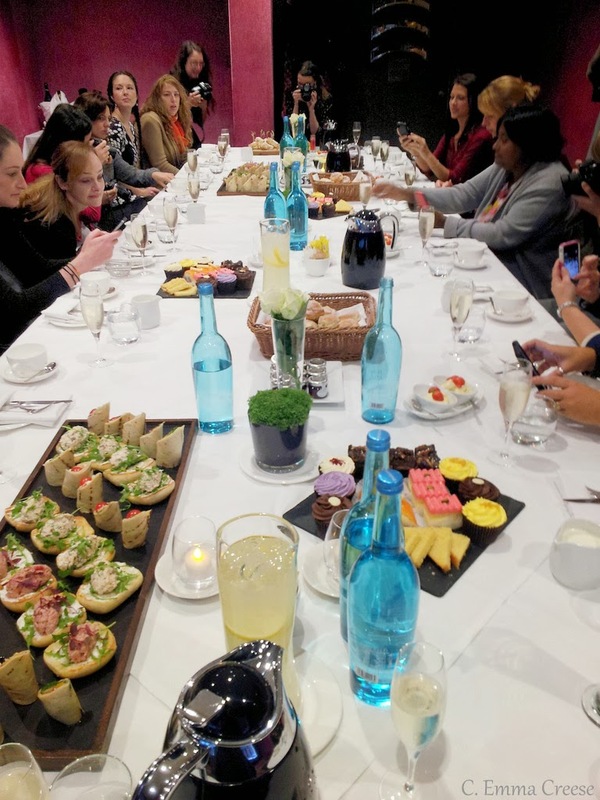 Saturday afternoon was cold and miserable outside, but inside a London hotel room a meeting of 20 of the loveliest blogging ladies came together for a feast of laughter, bubbles and afternoon tea nibbles. We spent over three hours shooting the breeze, making new friends, catching up with old ones and meeting some oldnew ones. You gorgeous girls! It was a fab afternoon. The highlight of my day was matching proper real life smiles to bloggers who make my day with their sweet blog posts. How do you know this is a blogger meetup? Bubbles, 5 cameras, 5 phones and cupcakes. …down in gluten free corner the goodies were pretty scrumptious to boot. 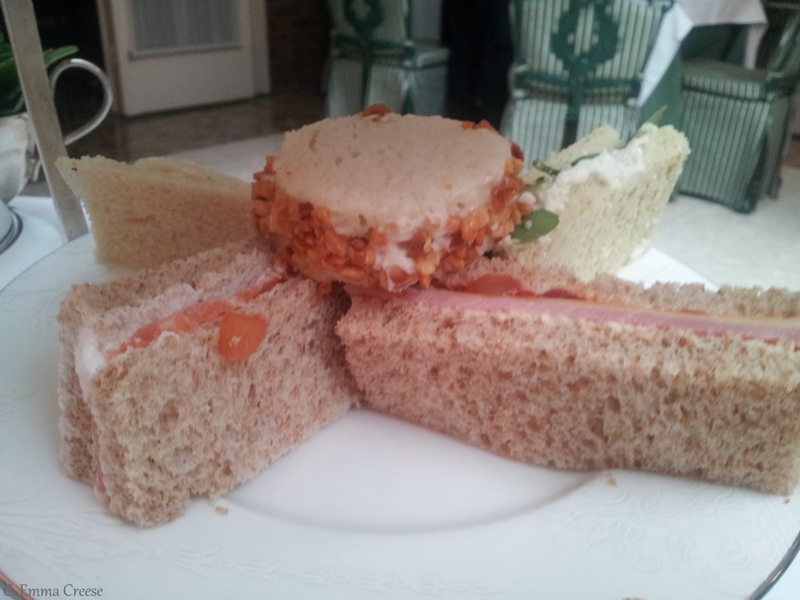 I’m not a connoisseur, and bar a dearth of scones, the offerings were pretty darn tasty. Representing at least 10 countries spanning the globe, it was a multi-cultural affair, with such a wide variety of bloggers and blogging topics. 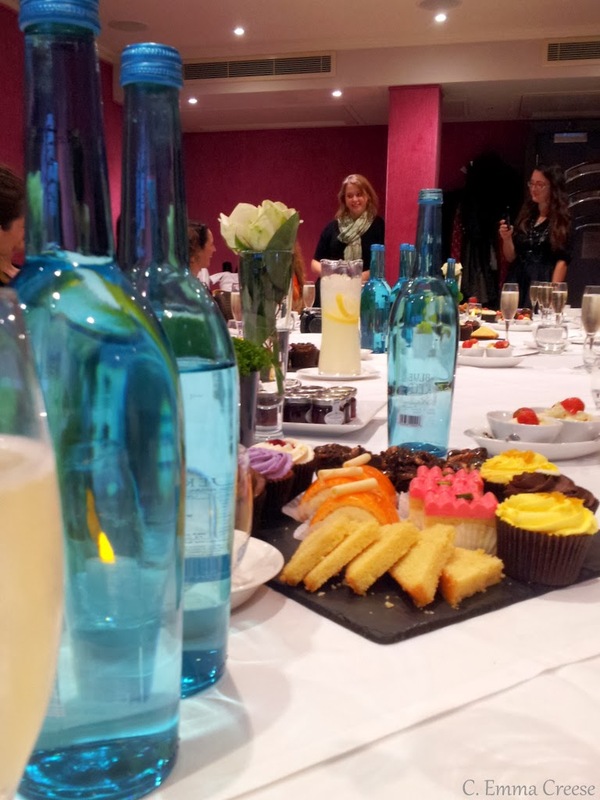 There was an awesome suggestion of speed chatting, much like speed-dating, but we ended up naturally falling into a sweet rhythm which meant we got to speak to so many lovelies (Could I use any more superlatives? It was all the sugar, I swear,) but not everyone. Next time! Our two lovely mischief ringleaders were; Selena from Oh, the place we will go! & Bonnie from A Compass Rose. Thank you ladies, without you who knows what we would have been doing that day. Nothing so fun, I’m absolutely positive about. 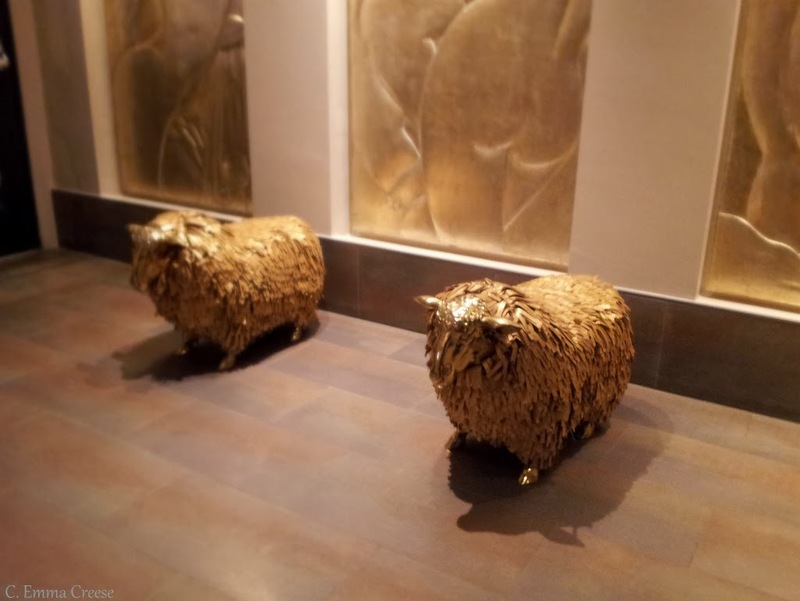 I can’t sign off without an artistically blurred (I mean selected focus depth) shot of the golden sheeps in the foyer. Ps. Ladies I’ll take the above off if you feel like you look like a hot mess, just pop me a message! 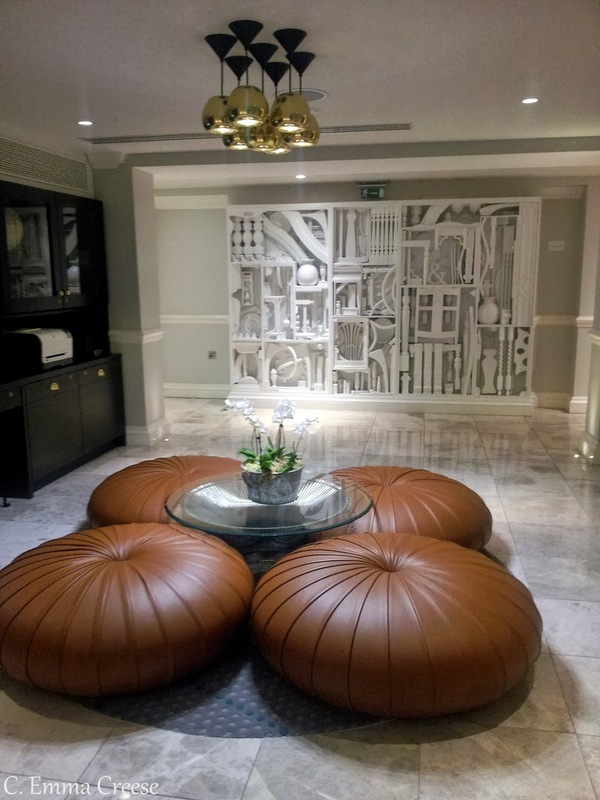 Ampersand is a boutique hotel located squarely in the ever fashionable area of South Kensington. What struck us the most last weekend was how fun Ampersand was (in a good way, not inverted commas “cool”). 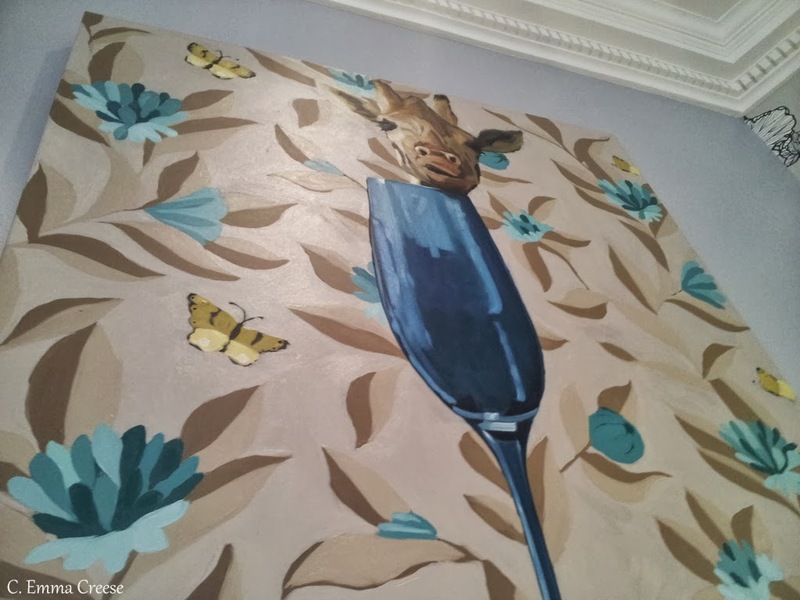 Every room was clearly styled with an eye for design, but with a cheeky nod to the hotel name and nearby world famous museums of Natural History, Science, my favourite the Victoria & Albert, not to mention the nearby Royal Albert Hall. 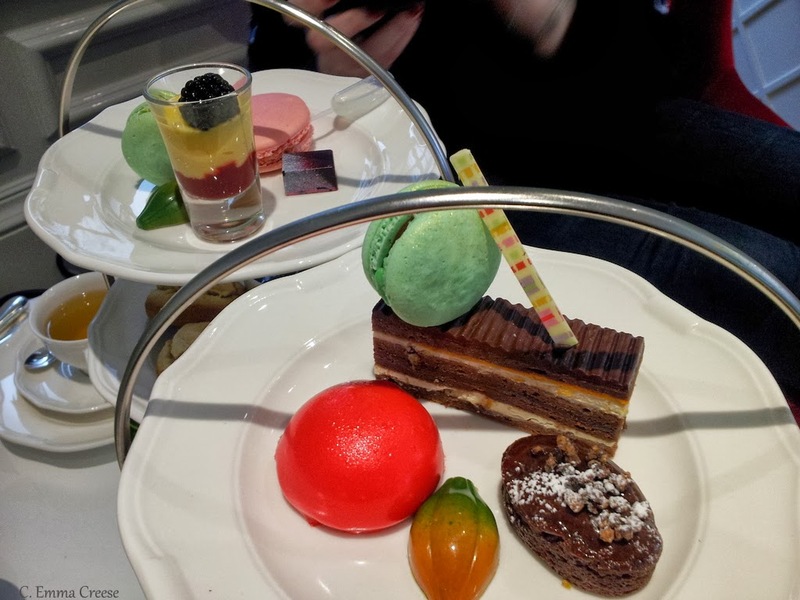 After a few hours of walking the delights of the V&A and the current Pearl Exhibition we had worked up quite an appetite and with a lot of catching up to do, my blate +Kelly Michelle and I couldn’t wait to sit down and enjoy our Saturday afternoon treat. 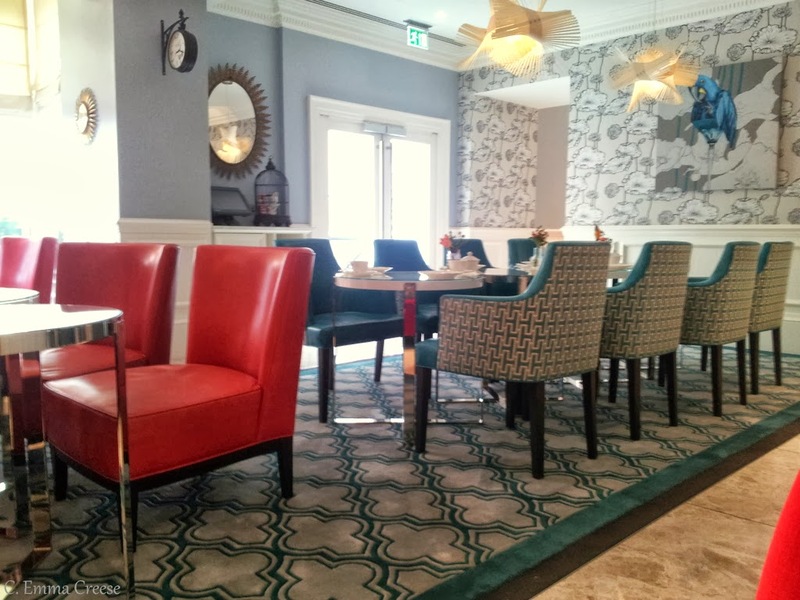 The afternoon tea is served in their ‘Drawing Rooms’ dedicated to the art of afternoon tea and we were snuggled into a cozy corner with chairs/mini sofas perfect for gossiping and a perfect vantage point for eyeing up everyone else’s afternoon teas. 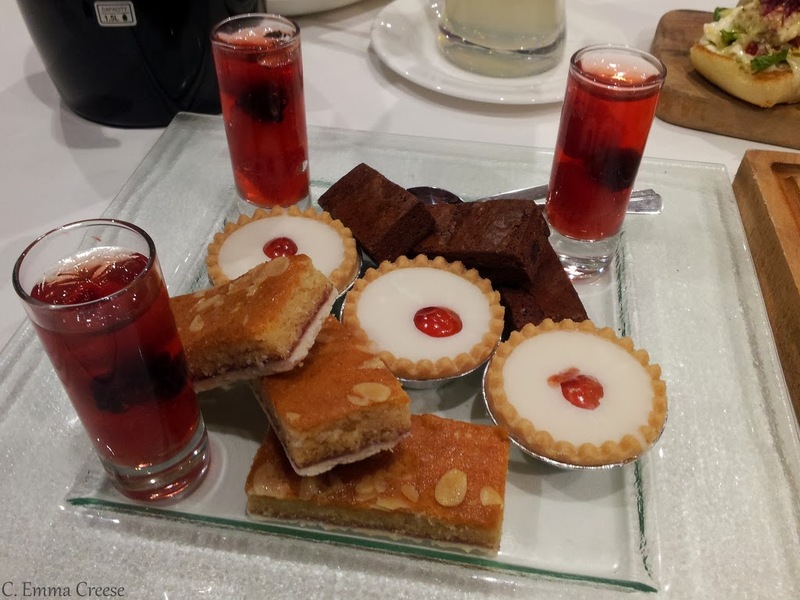 As it’s National Chocolate Week, I couldn’t resist ordering their special Chocolate Week afternoon Tea, (any excuse) while Kelly enjoyed their Gluten Free spread. 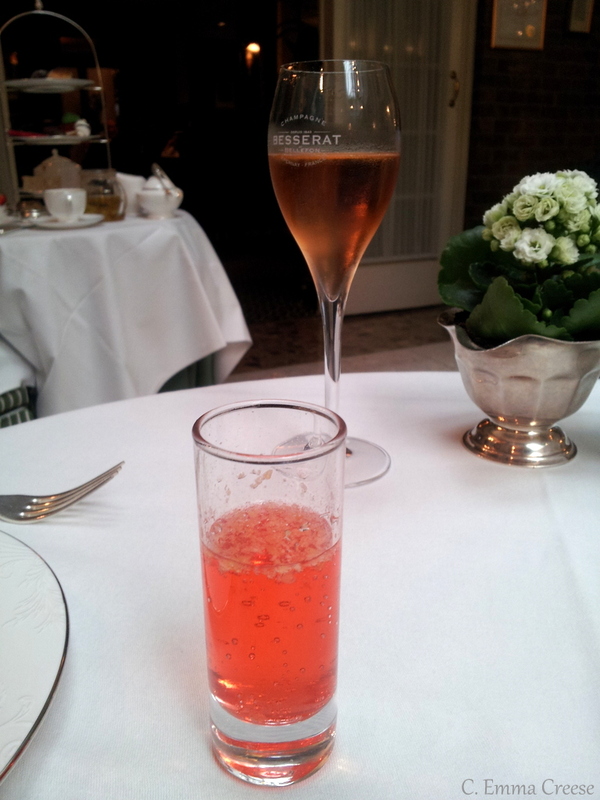 When it came to choice of beverage I didn’t resist the Afternoon Tea Tea, and Kelly chose the Peppermint. 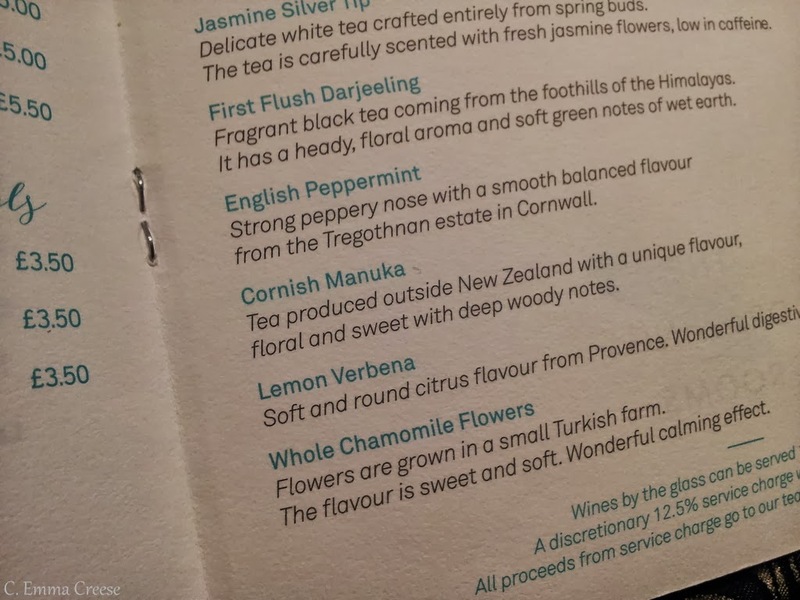 We even found a Kiwi(ish) mention in the tea menu for bonus points. Well played Ampersand team. 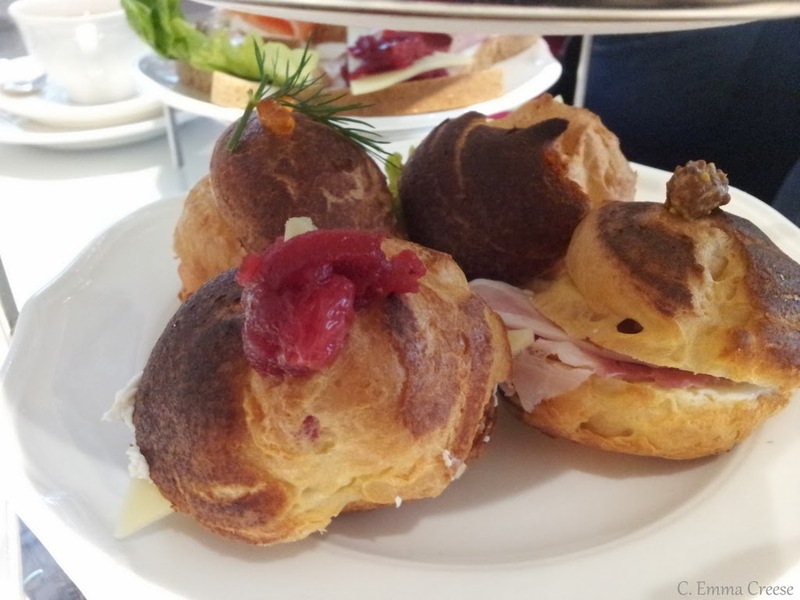 My tea (on the right – Kelly’s Gluten free is on the left) started with savoury gougères (gougères are choux pastry buns with savoury fillings) – and they set the bar very high indeed. Each 3-bite-size bun had delicious fillings that hit the spot for us hungry Kiwis (the ham and the fruit chutney especially). 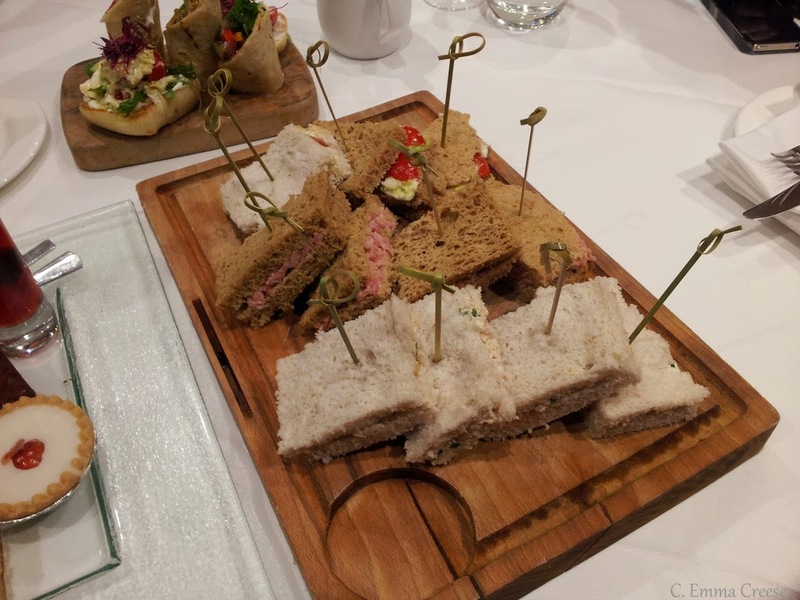 It’s the first afternoon tea I’ve had that doesn’t have ‘bread’ bread, and I have to say I loved it – it means that you don’t fill up on sandwiches, leaving room for the deliciousness to follow. 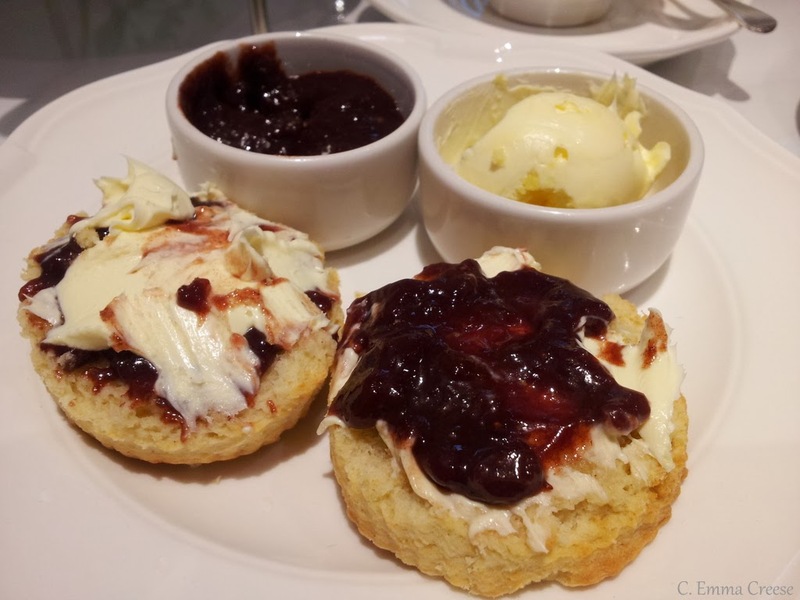 If I’m going to be totally honest, I didn’t really read the menu as I was sold at the words “Chocolate afternoon tea.” It meant that when the homemade strawberry, chocolate and balsamic vinegar jam hit my scone I wasn’t quite ready for it. At the risk of sounding like a luvvie, I don’t think I’ve ever tasted something quite so delicious. Move over Nutella and your Nutty overtones, this homemade jam is the Jam. Luxurious, softly chocolately spread with a hint of strawberry, it is unctious and the perfect scone condiment. I’m not sure I can bear the disappointment of going back to naked strawberry jam after that. 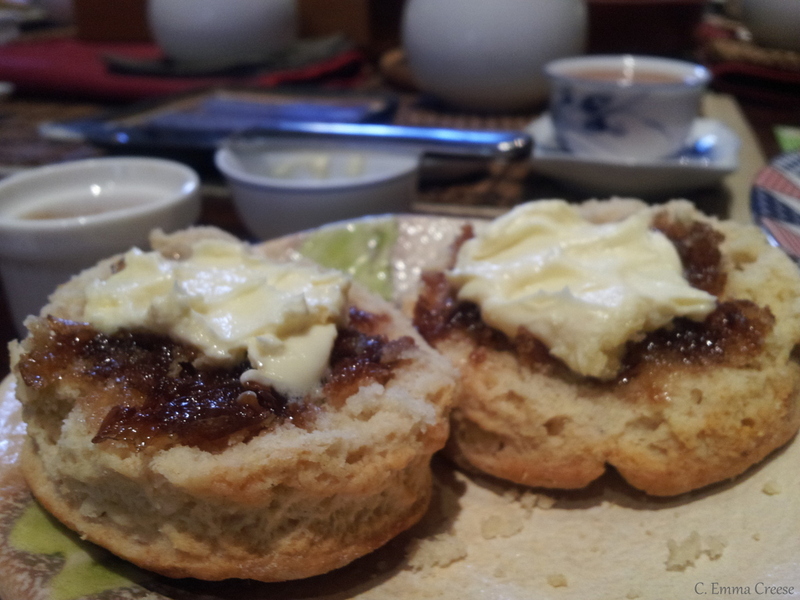 I also tried a little experimentation – Jam then Cream, or Cream then Jam. I’ve got to say I’m still in the Jam then Cream camp, it just makes more sense. It’s less aesthetically pleasing but tastes SO good. 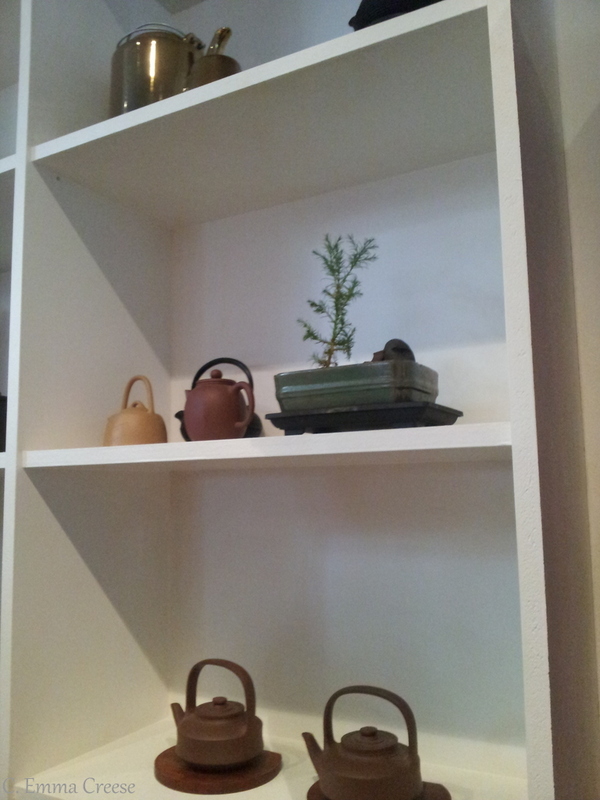 Our teapots were replenished so we had a little rest and began to watch as the room filled up with late tea-takers. 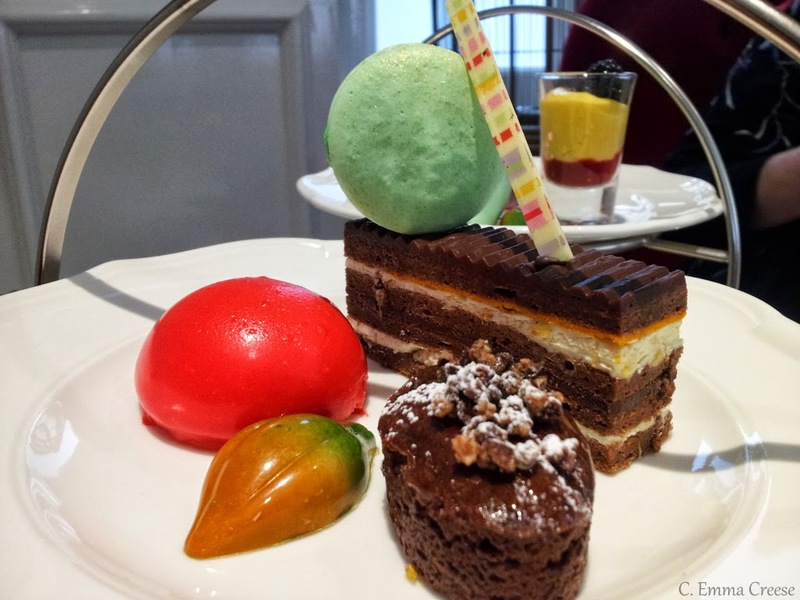 Awaiting us was the piece de resistance, the most indulgent part of any afternoon tea – the pastry selection. 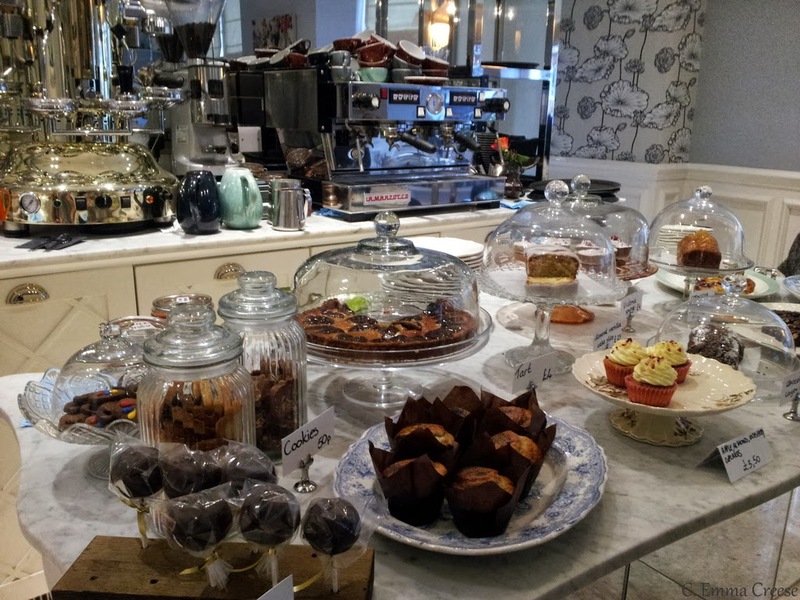 Ampersand were more than happy to do a gluten free afternoon tea, and I’ll leave the write up to Kelly – watch this space. We found out that all of their dishes are freshly made in the hotel kitchens and to get a taste of their passion, check out Tumblr account for the Apero restaurant (downstairs in the hotel) I found because I’m a Google+ ninja. 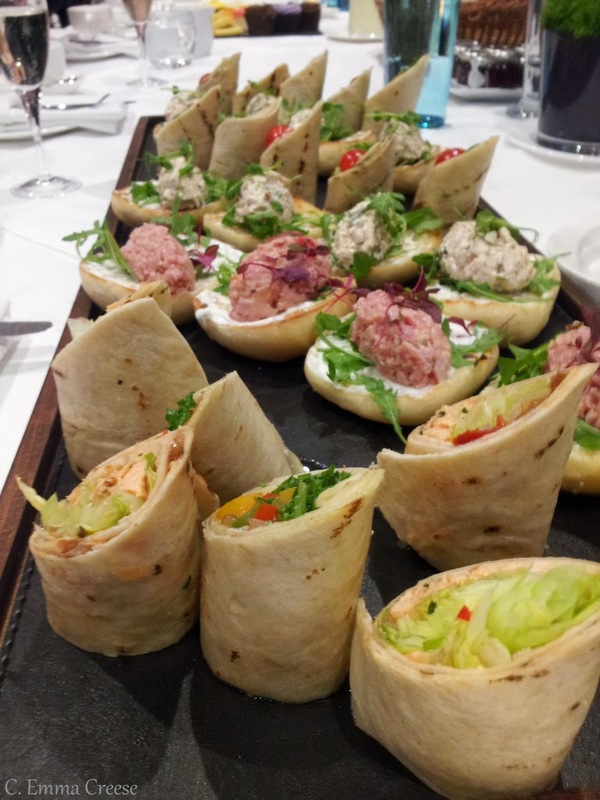 The food really fits with it’s surroundings and the ethos of the hotel – great quality and good flavours with side of a cheeky fun to it. 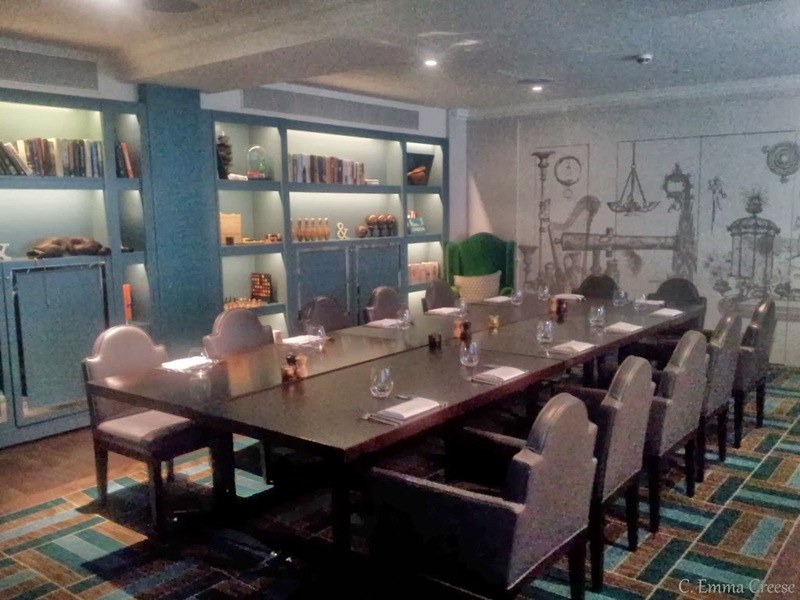 The service was fab too – helpful and quite fun but without being in your face. Perfecto. Truly how much did we love it? 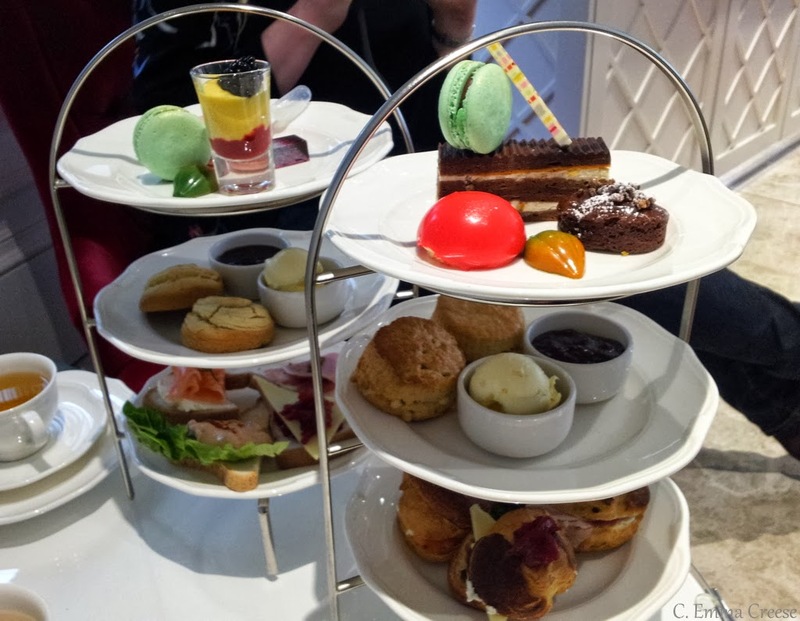 Well, I’ve already booked a return for a double birthday afternoon with a very experienced group of Afternoon Tea connoisseurs who are as excited as I am for the Halloween themed Tea (and have been before themselves). That’s how much. Needless to say, by the end of the leisurely afternoon we were stuffed and very happy. I also had the sugar shakes which was proven out by the following post photos. Let me apologise in advance for their quality, but the rooms were just too cute. Ps. We were lured in by their cocktail menu to the bar downstairs where we spent a good while longer. Girls just love to talk, what can I say? Burning questions of the day: Cream then Jam, or Jam then Cream? With her fun-lovin Southern American ways, Morgan from Peaches Please! 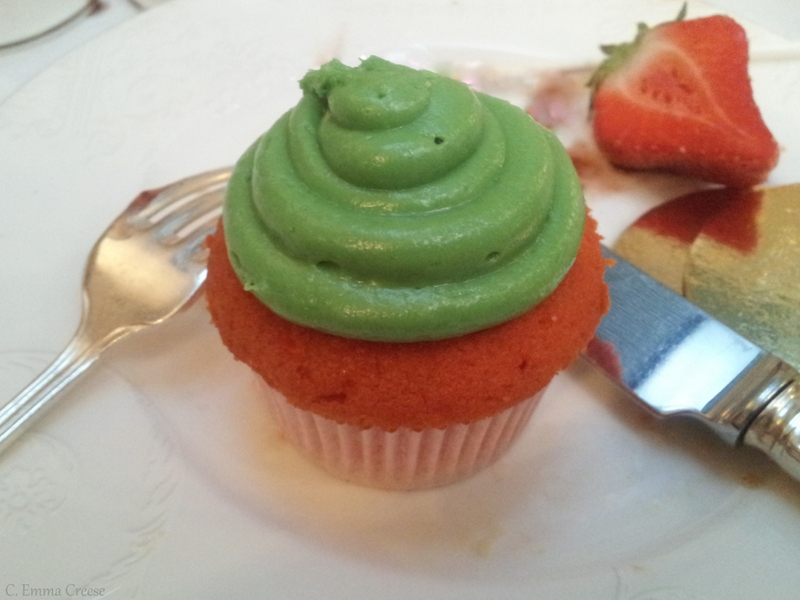 is insanely-uber-lovely and has some of the most scrumptious foodie recipes and photos. She has kindly agreed to do some proper baking for y’all (unlike most of my recipes) Mmmmmmmm. So, sit back, relax and be prepared to drool on your keyboard. 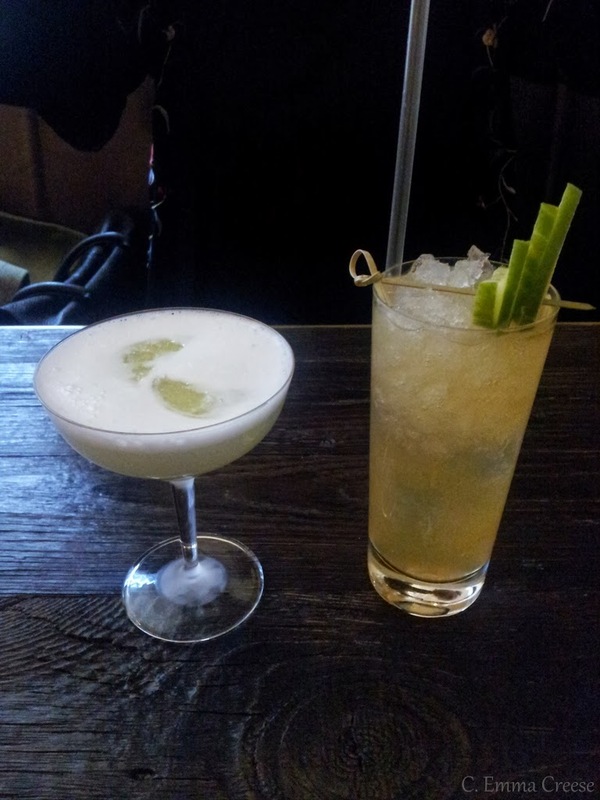 Hello readers of Adventures of a London Kiwi! Greetings from across the pond! I’m so excited to be writing my first guest post and that it is for Emma and her blog. I met Emma this summer at the Food Bloggers Connect conference in London and am so happy that we are keeping in touch. If there’s one thing I learned from that conference, it is that the community is so important for bloggers and I’m excited to be becoming more a part of that community. Much of American cuisine comes from other cultures, especially given the wide scope our ancestry. 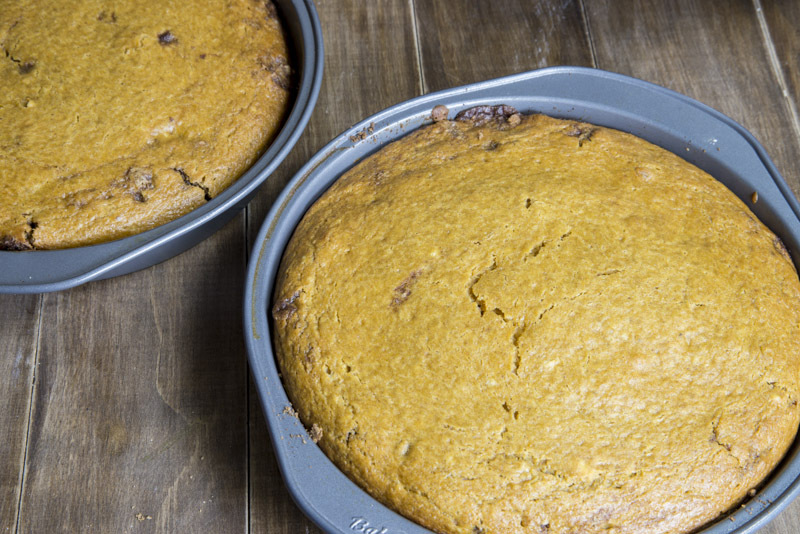 However, Thanksgiving dishes are traditionally those associated with crops introduced to the pilgrims by the Native Americans: corn, beans and squash, otherwise known as the “Three Sisters.” Without these crops, shared by the Native Americans, the settlers would have starved that first brutal winter in New England. Pretty much everyone I know learned all of this in elementary school, shortly before dressing up as turkeys, Native Americans or pilgrims and singing songs for tolerant parents at the school Thanksgiving assembly. This, coupled with our celebration of Halloween, may explain the widespread of popularity of pumpkin in the United States. Plus, pumpkin is freaking delicious. Especially when slathered with cream cheese frosting. So good. [So, so good.] So I decided to do a pumpkin post for Emma. The first thing that came to mind was my family’s pumpkin roll. It’s our traditional Thanksgiving dessert, but I’ve already done a post on it for my blog, so I didn’t want to do that over again. 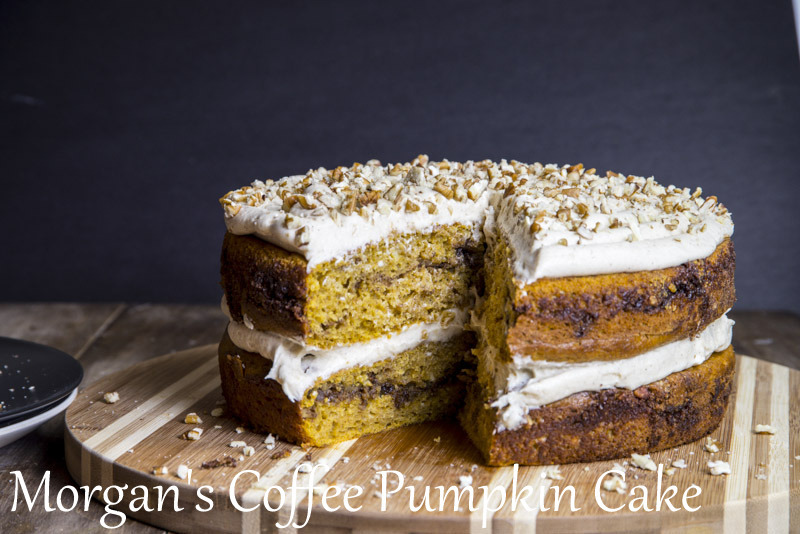 Eventually, I settled on making a mash up of a cake, pumpkin roll and coffee cake. 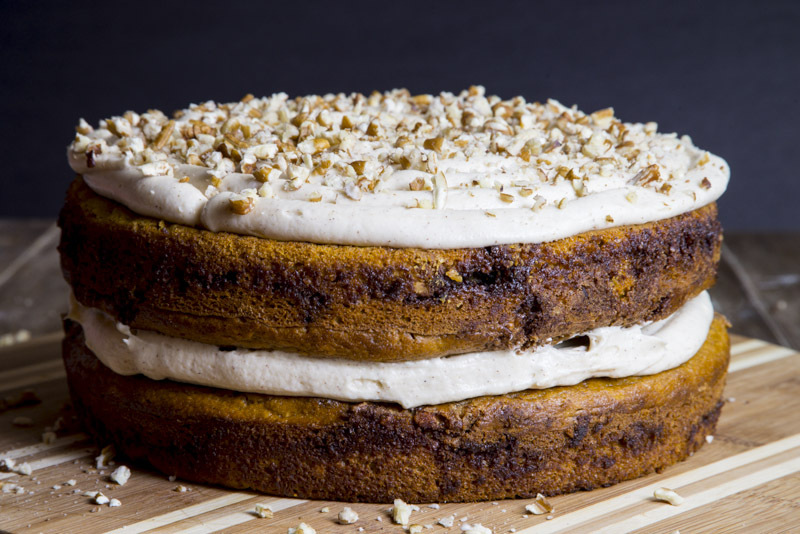 Thus, we have our Pumpkin Coffee Cake Cake. 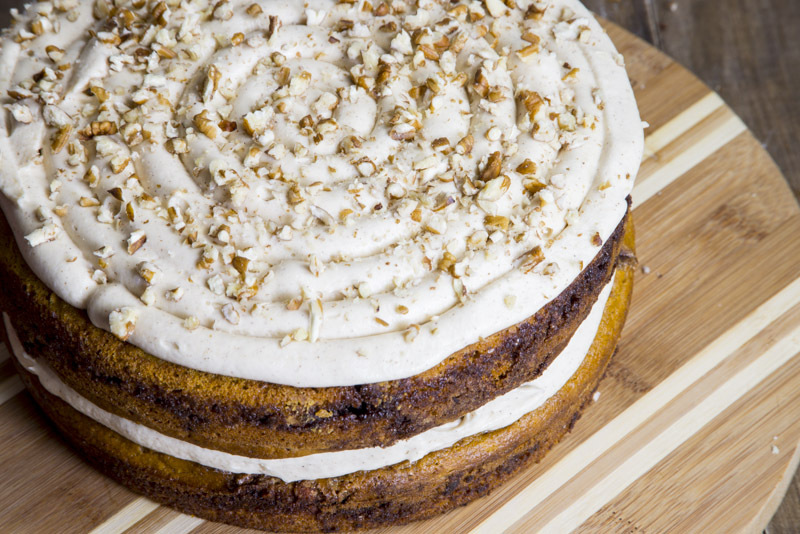 Two layers of pumpkin cake with a cinnamon pecan swirl, topped and filled with spiced cream cheese frosting. I hope you enjoy it! Also – sorry, I used American measurements. Cups and all that. Preheat the oven to 350° F (176° C). Oil two 9 inch round baking pans and line with parchment paper. Whisk together the flour, baking soda, baking powder, cinnamon, ginger, nutmeg, allspice and salt. Set aside. In a separate bowl, whisk together the pumpkin, sugars (brown and white), eggs and buttermilk. Lastly, whisk in the vanilla. Mix together the cinnamon, brown sugar and pecans for the swirl. Whisk the flour mixture into the pumpkin. 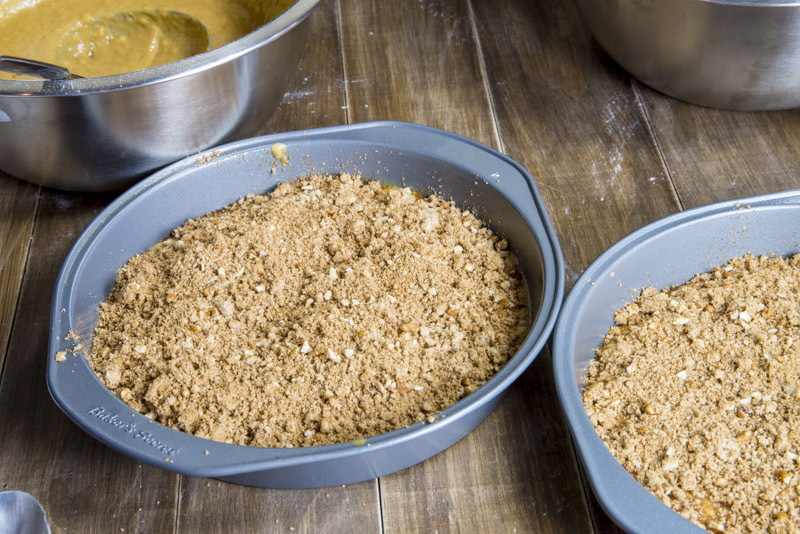 Pour ¼ of the batter into each pan and then generously sprinkle the cinnamon/brown sugar/pecan mixture over it. 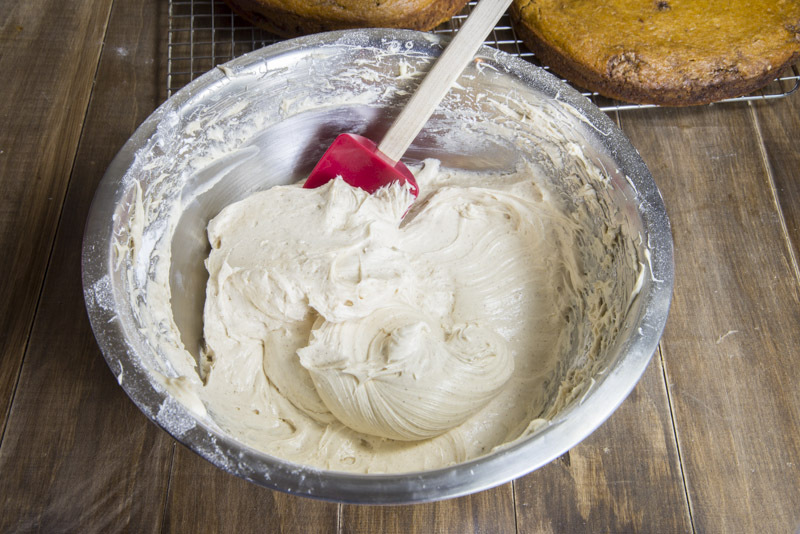 Carefully cover the swirl with the rest of the batter and then bake for 35 to 45 minutes, until the middle has set. Remove the cakes from the oven. 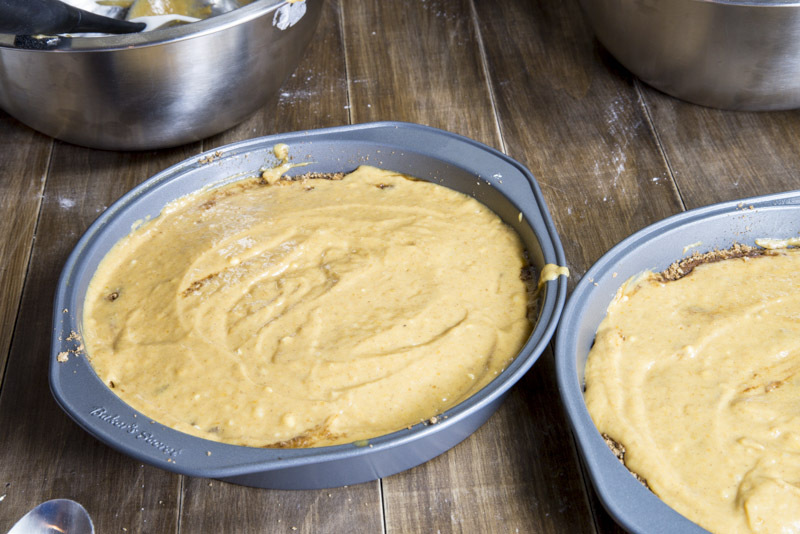 Let them sit for about 10 minutes, then run a knife around the edges to loosen any part stuck to the pan and then turn the cakes out onto a wire rack to cool completely. 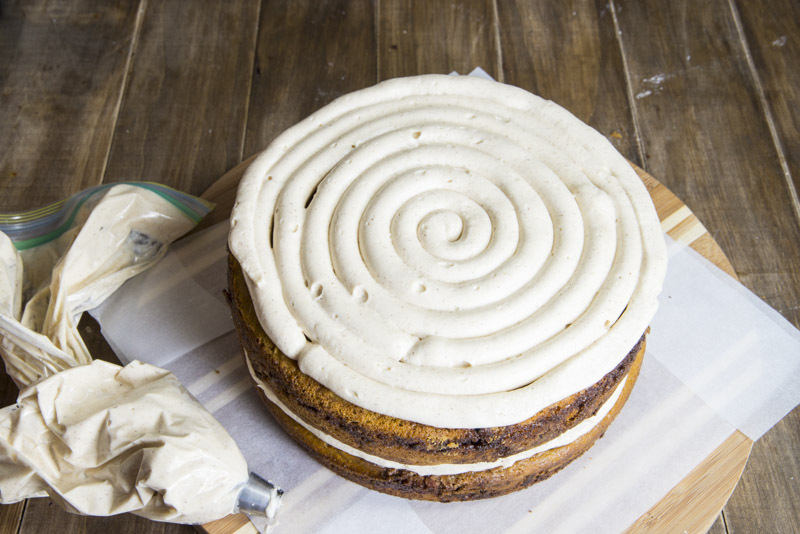 While the cake is cooling, whip up the frosting. Beat together the sugar, butter, cinnamon and nutmeg until smooth. 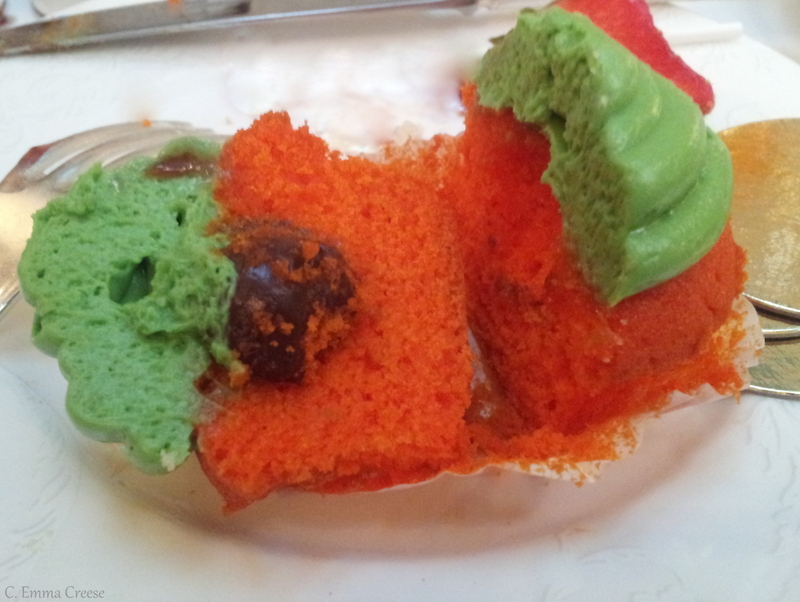 When the cakes have completely cooled, spread or pipe a layer of frosting on one layer. Place the other cake, top side down, on top of the layer of frosting. Then pipe or spread the remaining frosting over the top of that second cake. Sprinkle the top of the cake with pecans. If the frosting is super soft, then chill in the fridge for a while before serving. 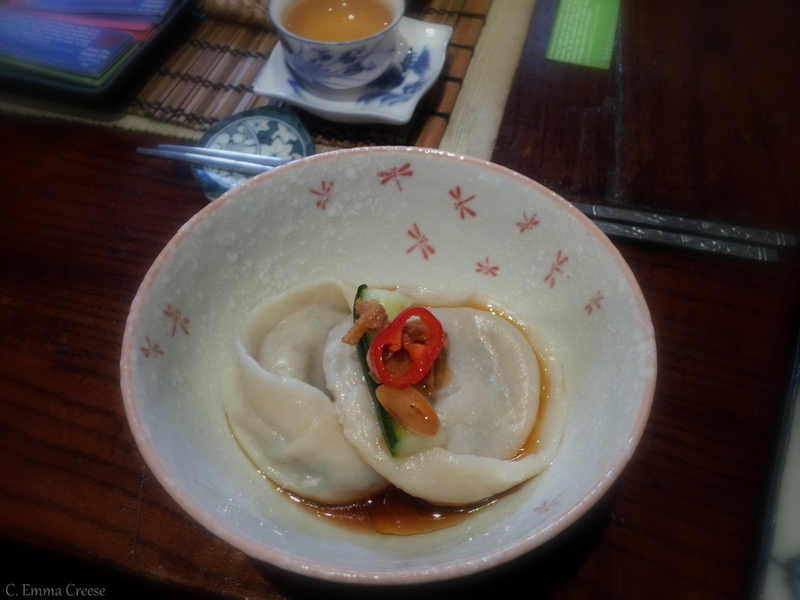 Then…eat, groan and hold your tummy in joy. Thank you again Morgan, it looks utterly utterly scrumptious & you really are so lovely. 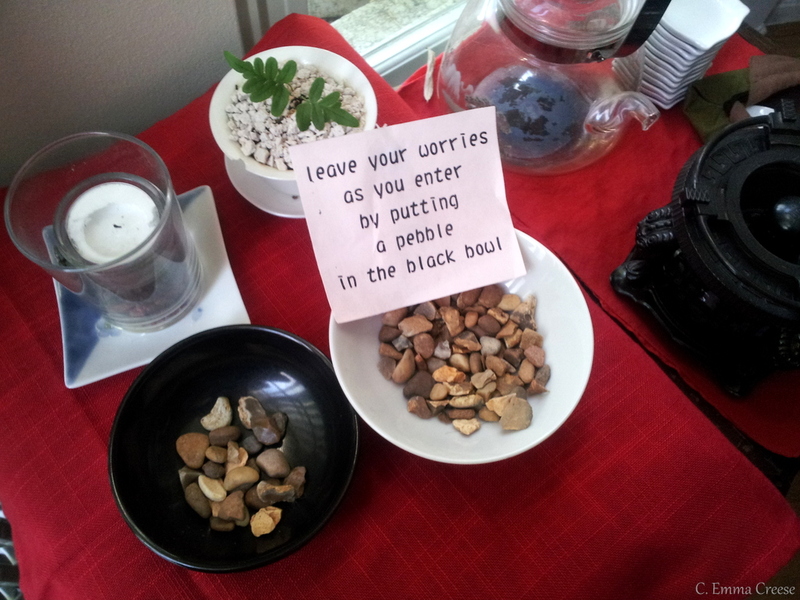 “Brewing tea is pressing a pause button in a stressful life”. Nestled in the normally sleepy suburb of Nottinghill/Westbourne Park there is a small tea house, run by Buddhist tea artisan Pei Wang. 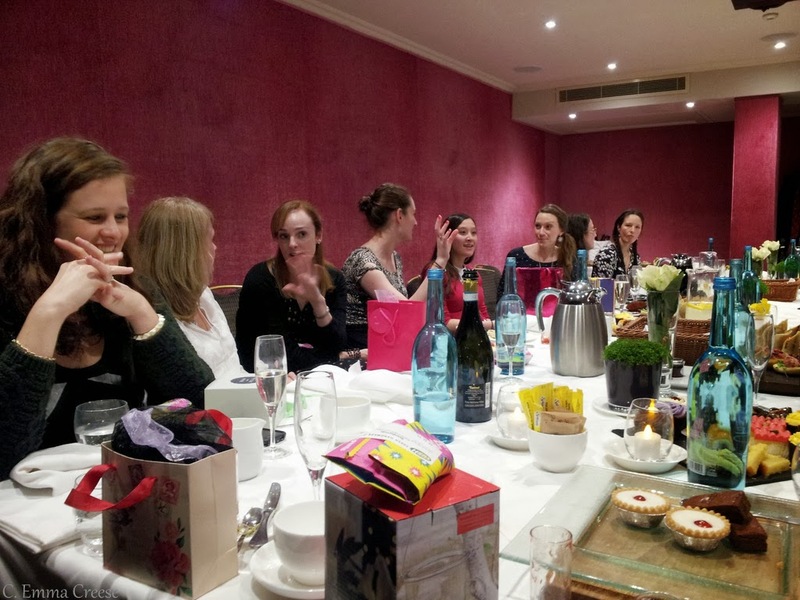 Upon arrival, our group was greeted softly, ushered to our table and began to relax. 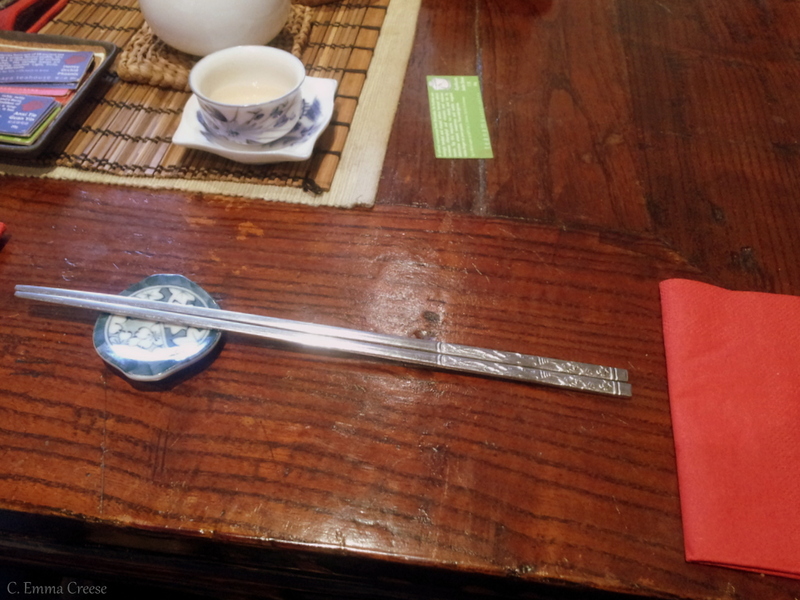 And therein lies the genius of the Chinese tea ceremony. It is meant to be taken slowly, with pleasure and understanding. 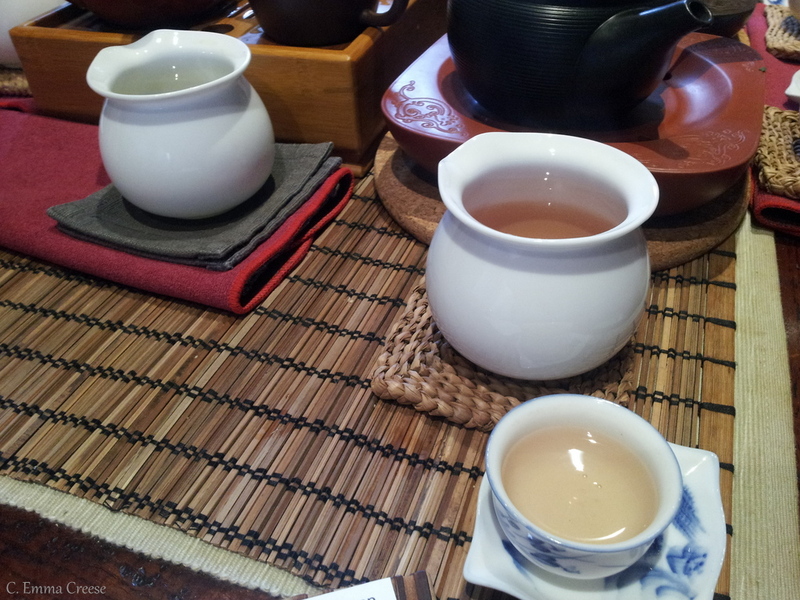 Once we placed our tea orders, such an array of pots, containers and teeny tasting cups came out like I’ve never seen. Each of us had a unique brewing pot suited to the flavour of tea that we had ordered. One was only as big as an apple. I chose the “Honey Orchid Phoenix” Dragon tea, it’s peach-like tones appealing to my fruity sweet tooth. Described as a “‘single bush’ oolong picked from a rare tea tree on Phoenix mountain, legendary playground of demigods and fairies. It is one of only 3,000 trees directly descended from one of the famous 18 tea bushes that have existed for 900 years in a unique, beautiful tea grove.” Tea Master Pei Wan explained that t’s dragon tea because of the way the dried plant looks, like a Chinese dragon. ^ This, this is how to be enchanted by a cup of tea. 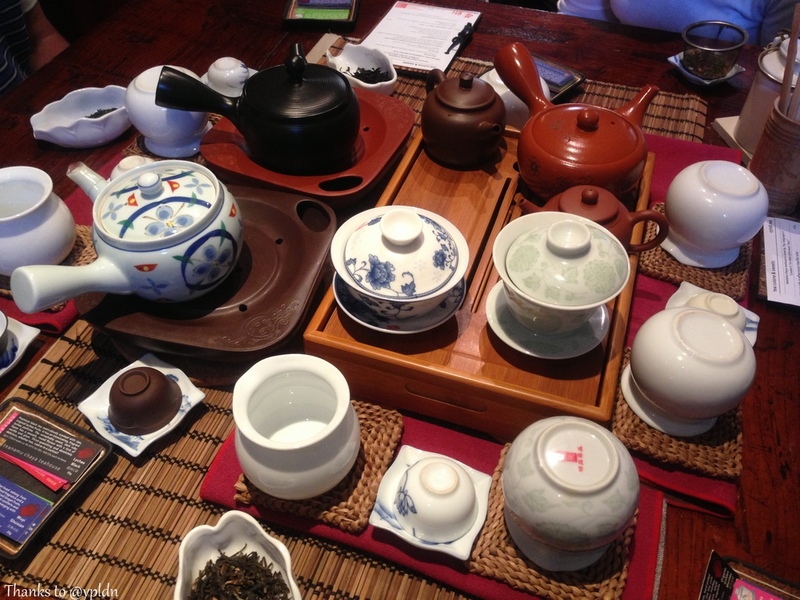 We were then guided through the art of making each of our individual teas. 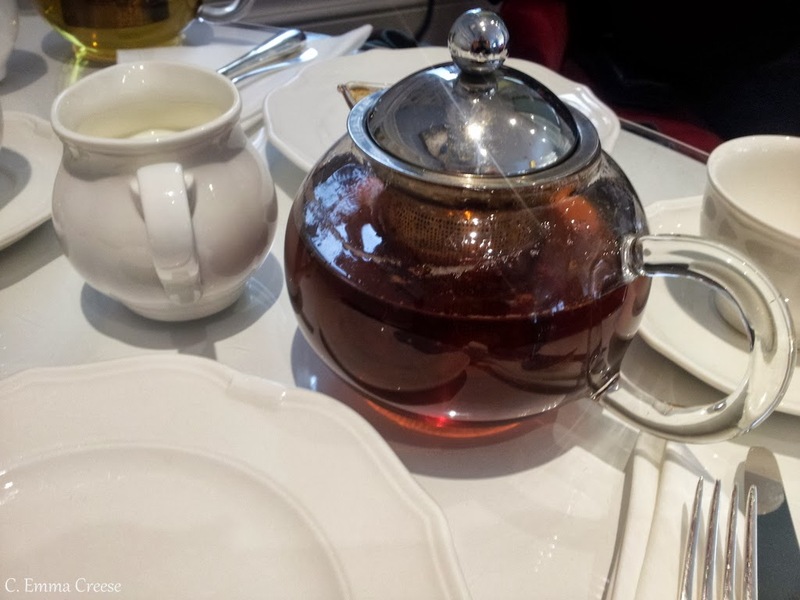 Pei Wan explained how long to steep the tea, how many rounds it would take for the flavour to reveal itself in the longer teas, and how often to refill the vessel from the kettle kept on the corner of the table. 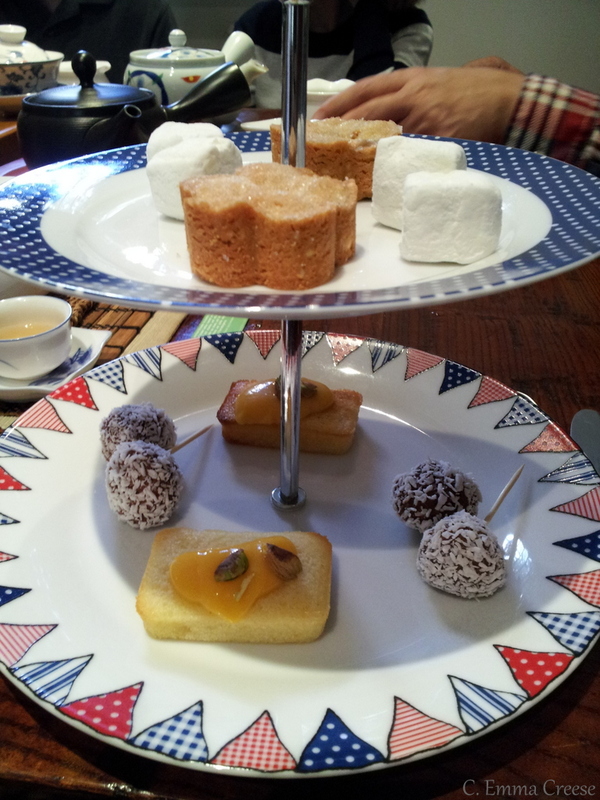 A few cups in our afternoon tea with a delicious Chinese twist began to follow. 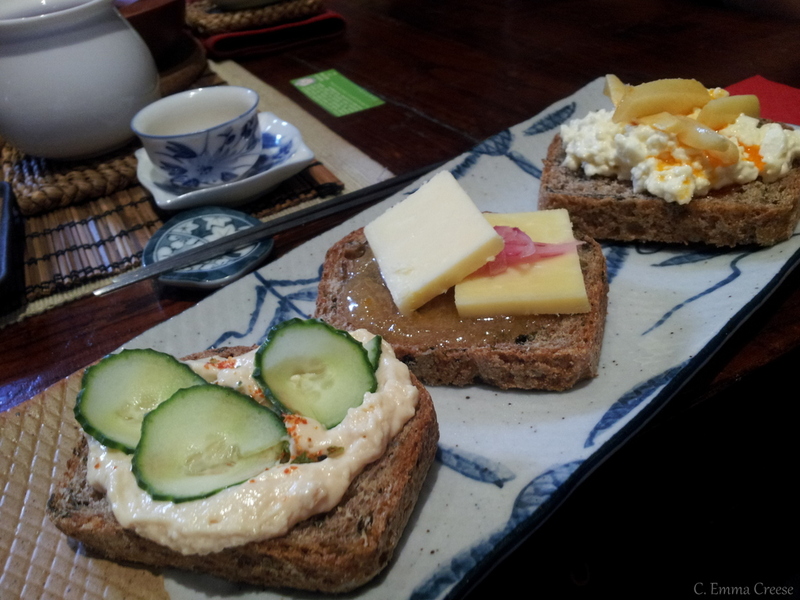 The ginger & cheese was surprising, and gorgeous. 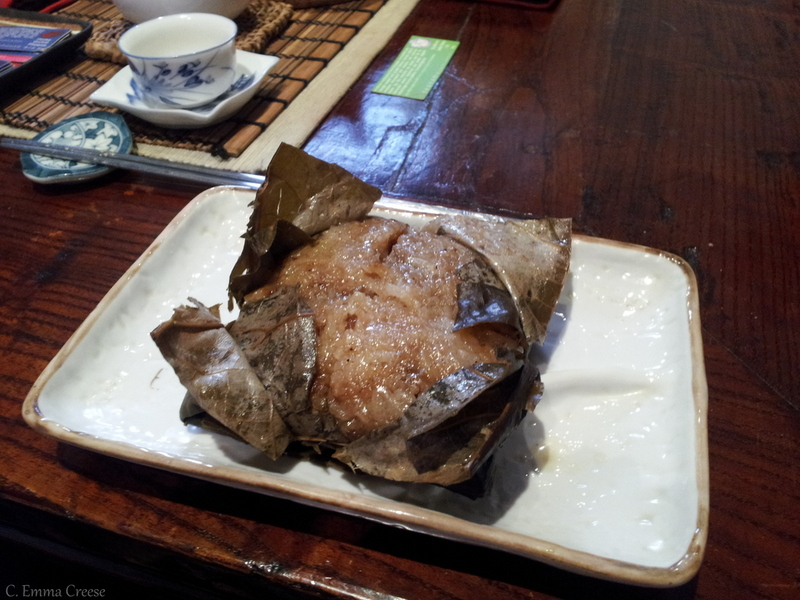 While both were delicious, it was the lotus leaf rice parcel that won my stomach. It was delicious, and hearty. Winner? The coconutty soft-set fudge was gorgeous. I know my limits, and my clumsy writing skills can’t aptly convey the ethos of this calm oasis with any beauty. All I know is that we had a wonderful, relaxing time. 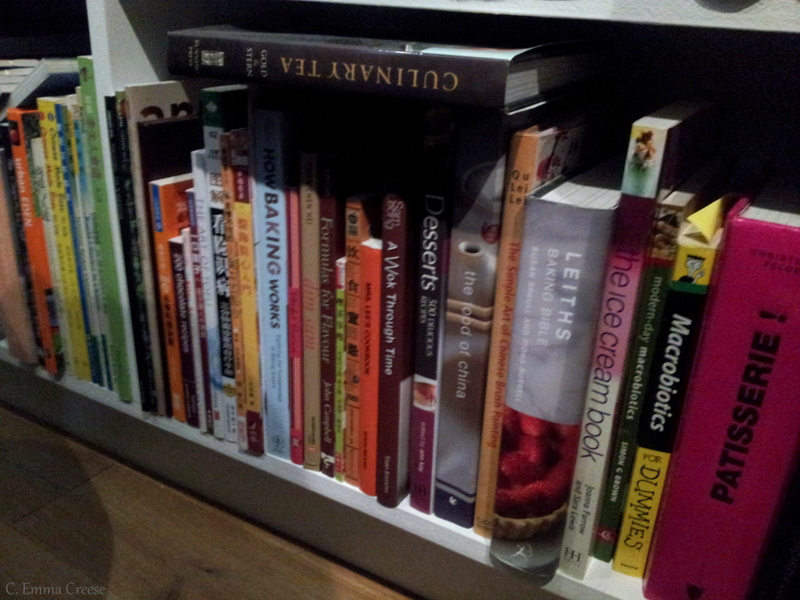 Don’t you love looking at other people’s cookery books? Such a great mix too. 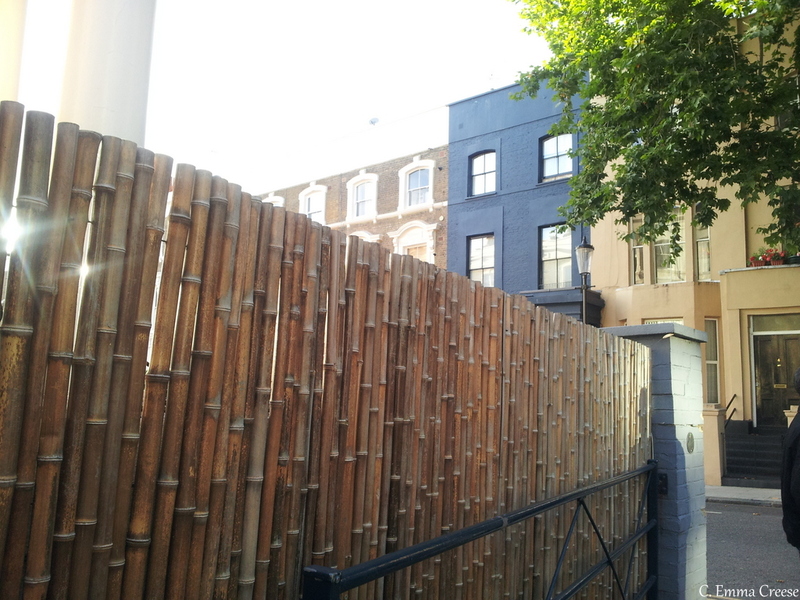 Teanamu has to be one of London’s, certainly Notting Hill’s best kept secrets. Just be careful to follow the directions carefully, or go with a pro. It’s a short wander from Westbourne Park or a 10 minute trot from Notting Hill Gate. It was most definitely a contrast to the last time I was in Notting Hill for the carnival. It goes to show that you don’t necessarily need to leave London to travel. 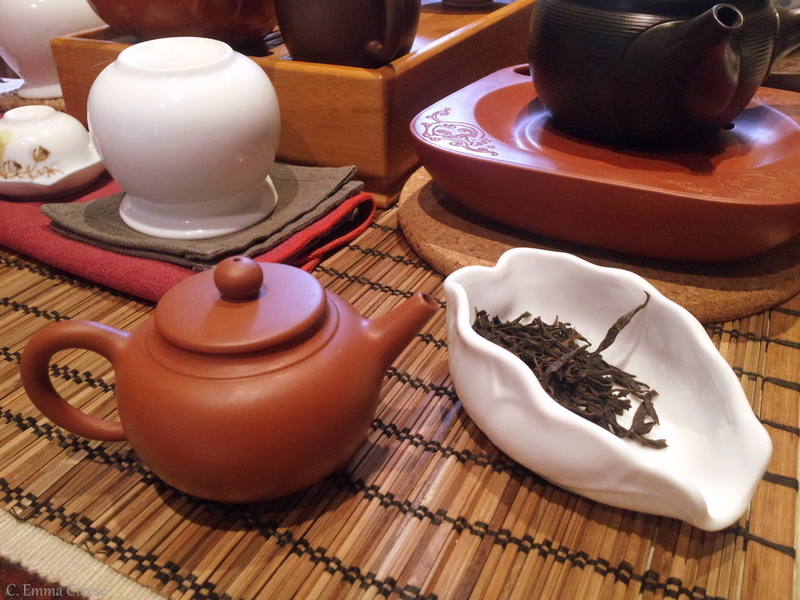 Enjoy a slice of Chinese tea tradition in tube Zone One. Isn’t it amazing what London has hidden up her sleeves? Let me paint you a wee picture. It was pouring with rain, had been a hard day at the desk job and worst of all it was a Monday. I hopped in a cab, to be greeted by the smiling concierge with (hallelujah!) a held out umbrella, I hopped into the plushly decorated Chesterfield reception to meet the Kelly. After a a few minutes in the piana, sorry, piano bar, we were ushered to our table for our Willy Wonka’s Afternoon Tea. Proceedings open with Charlie & his Grandad’s fizzy lifting drink (you know, the one they use to float in the bubble room?) and we opted for a glass of Champagne, as after all it was a horrible Monday evening (how can you ever say no to Champagne?). 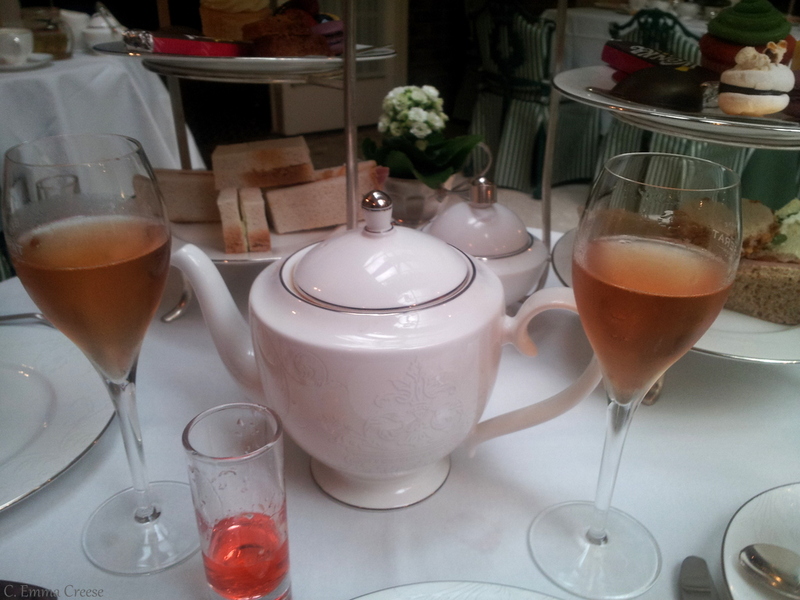 There was a perfectly sized tea selection, but we opted for the Willy Wonka Chocolate Tea which was delicious (modelled here by the Rose bubbly – thank you girls). The notes of chocolate were subtle but deep and delicious. Then these babies appeared on our table. Where do you look first? (Kelly’s Gluten Free selection is to the left, my Willy Wonka to the right). 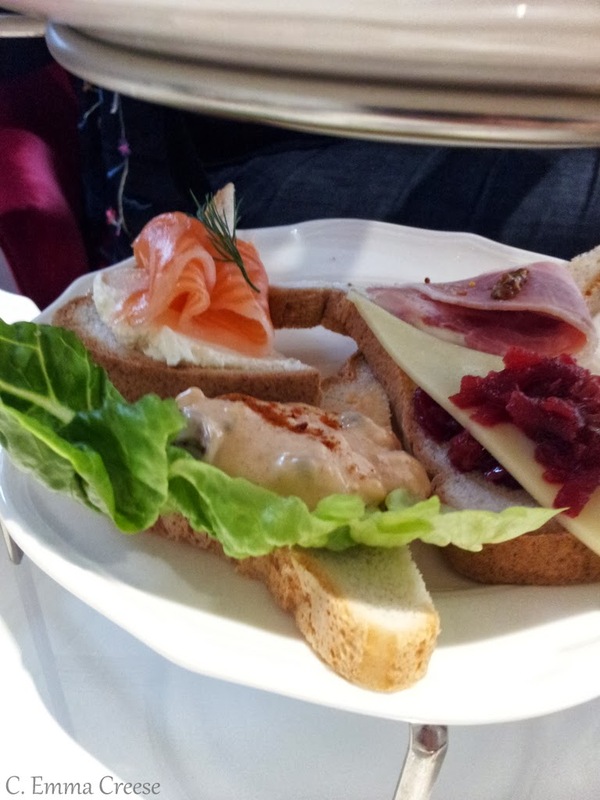 The sandwiches were pretty tasty, usual fair I’d say – with the exception of the ham, cheese & chutney. I don’t know what it was but they were utterly scrumptious. When our waiter asked if we wanted a few more bits, I overrode my usual sweet tooth and asked for more sandwiches as the ham was so good. Weird behaviour indeed! Then we had the scones – and Kelly enjoyed hers which was good as I understand GF can be a little hit and miss. I’ve got to be honest with you, I didn’t get a photo as I was ‘in the moment’, sorry, bad blogger I know. I tried drawing some for you, but it looked something like a potato with chicken pox. Just use your imagination – soft Chocolate chunk scones with jam & cream. I’m not going to lie, it did fell a little like I was actually cutting into an Oompa Loompa. But it tasted delicious, and that’s all that matters, right? Then the utterly indulgent Golden Egg. Our were a tiny bit light on the gold (must have been a bad one like Veruca Salt) but it was exquisite. 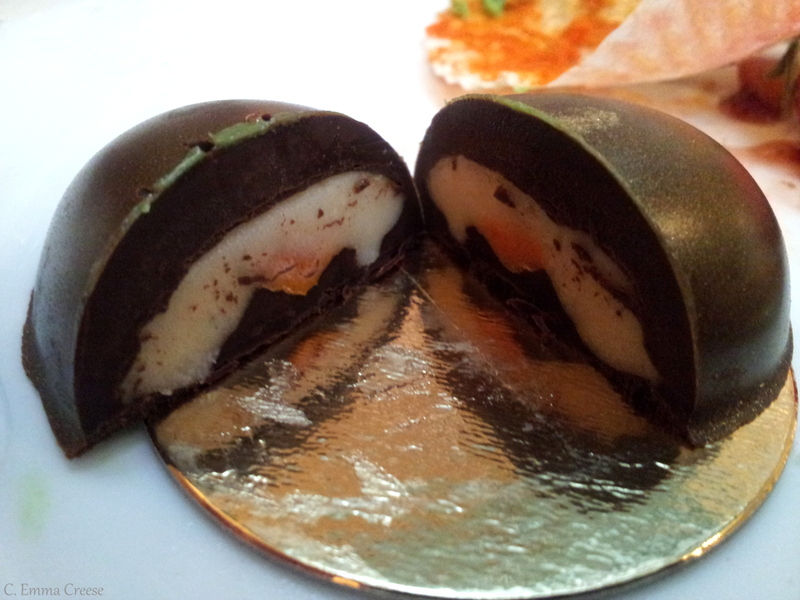 They were similar to cream eggs, but oh so rich and unctuous. 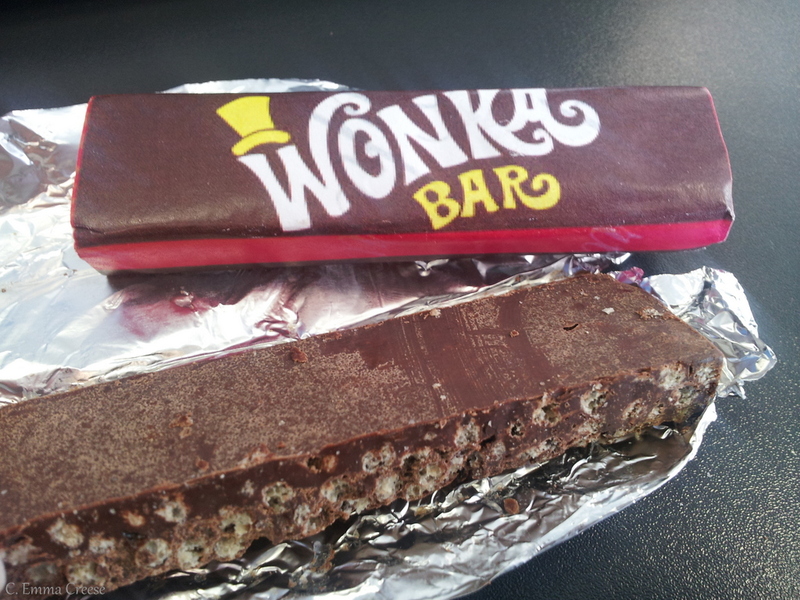 Last but certainly not least we had our very own Wonka Bars. 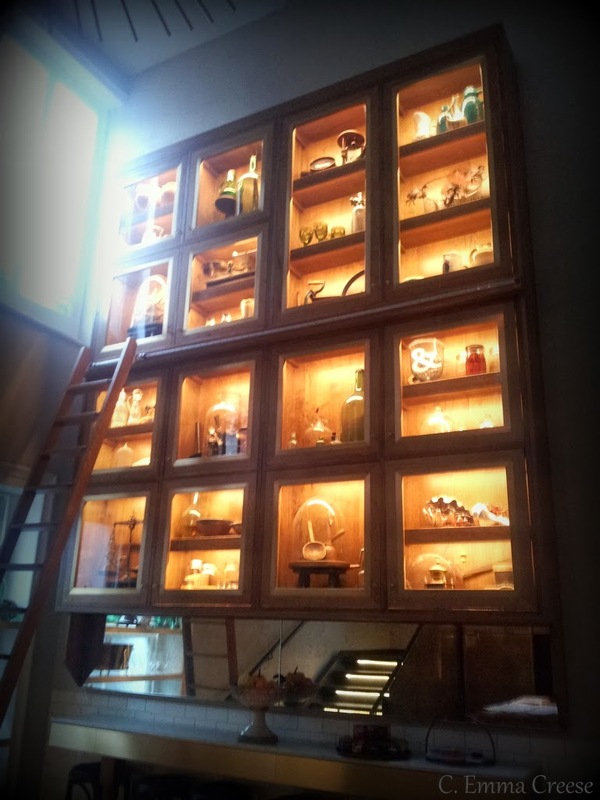 Crafted in their own kitchens, the pride with which they were presented to us was very evident, and charming. I saved mine until the next day, hoping to keep just a tiny bit of luxury whilst at my desk. It was lovely. I can also report that the service was lovely – very discreet and charming. They also didn’t kick us nattering Kiwis out which was very nice! I’d definitely recommend the Willy Wonka’s Afternoon Tea. – it’s on at the Chesterfield in Mayfield, a beautiful olde worlde hotel until the beginning of September. Get in quick! What’s your favourite children’s movie?